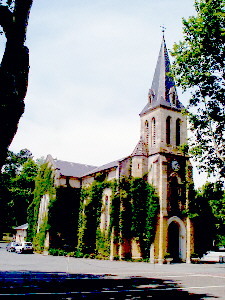 The church of Saint Nicolas in Labenne center, next to the town hall, was built in the second half of the nineteenth century, replacing an earlier church. Its porch is oriented to the east unlike Landes churches whose porch usually opens to wards the west. The veined marble Altar of the Virgin and the Altar of Saint Joseph, are gifts of Napoleon III. It also has a wooden statue of "Madonna and Child" dating from the sixteenth century and pieta from the nineteenth century. 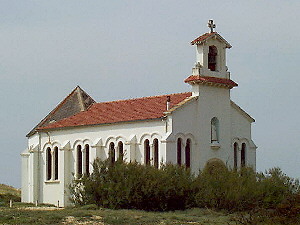 The Chapel of Sainte Therese is built on the dunes in Labenne Ocean, close to the beach. The chapel is closed to the public since sometime in the last quarter of the twentieth century.